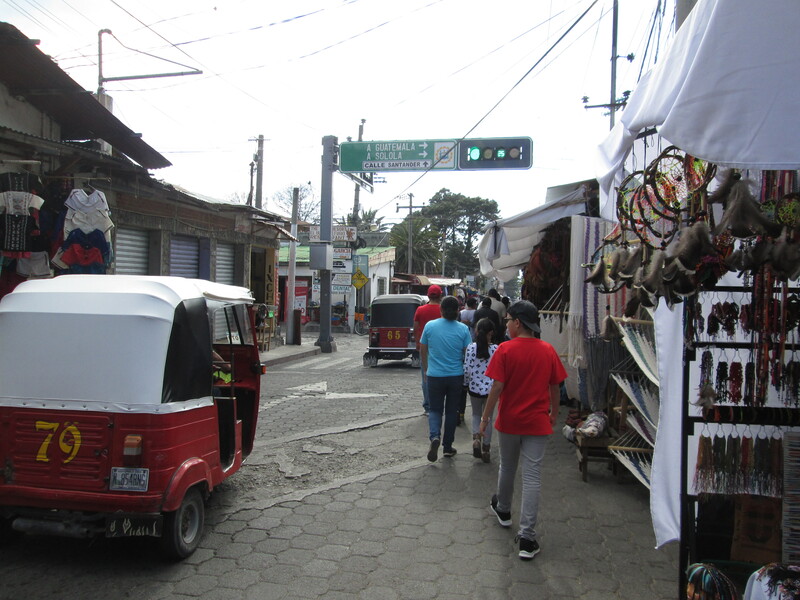 If one travels to smaller towns in Central America, one is likely to travel around town in an auto-rickshaw, called a tuk-tuk from the sound of its engine. Above are two tuk-tuks parked near the public dock in San Juan la Laguna, on the shores of the Lago de Atitlán. In towns where taxicabs exist, they generally are more competitive, costing 5 or 10 quetzales instead of 20 or 30 quetzales (or more). As of today, the quetzal is worth 12.7 cents based on OANDA Corporation’s currency converter. Riding a tuk-tuk is sort of fun, if you relish the experience of being puréed in a blender. Given the cobblestoned streets and the quick sideways maneuvers to avoid oncoming automotive traffic, you are likely to be tossed about a bit. And if you look closely, you won’t see anything that resembles a seat belt. You just have to hold on for dear life. 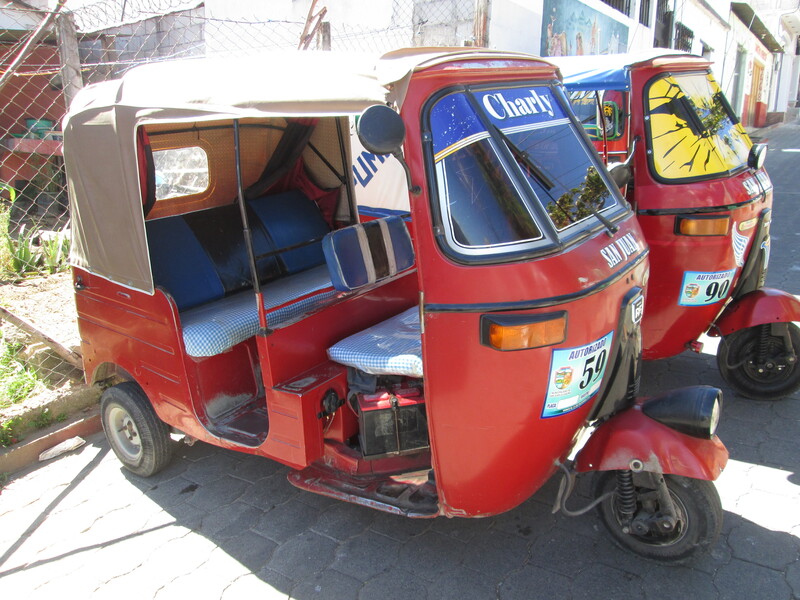 In Guatemala and Honduras, I have seen tuk-tuks with a driver and up to four passengers, three sitting in the back and one perched precariously next to the driver. But then, the Maya are not a large people. You can probably fit two American adults, max, in one of these three-wheeled wonders. At first, I was afraid of trying to ride a tuk-tuk, until I found myself stranded at the eastern edge of Antigua. I was footsore from walking too many miles on rough cobblestones and narrow, dicey sidewalks, and I didn’t see any taxes passing by the Santo Domingo Museum, but a tuk-tuk stopped for me; and I was happy to take a load off my feet.